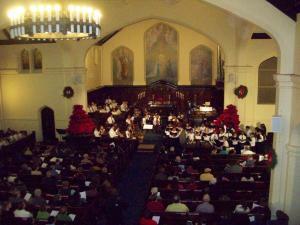 Join us for worship each Sunday at 10 a.m. Our worship is traditional, yet dynamic; lively, yet spiritual. We hope you will come and experience the healing, life changing power of God through worship with us. We celebrate communion the first Sunday of the month. From September through May, our Sunday School is in session during the final 45 minutes of the service. Children, of course, are always welcome to be at the worship services with us. Handicapped access is available from the parking lot door.